Eric Gnezda will be performing alongside fellow award-winning songwriters Keith Larsen and Craig Heath at Pat’s Endangered Species on Feb. 16. 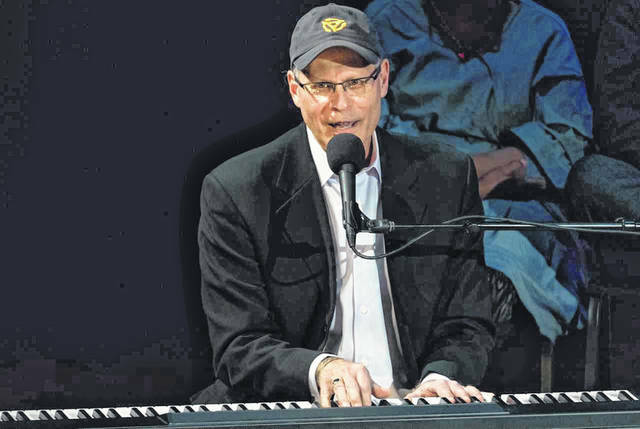 Eric Gnezda, the creator of “Songs at the Center,” welcomes both famous and up-and-coming songwriters to the stage for the nationally syndicated show. As part of the live concert series held at Pat’s Endangered Species, 1979 Ohio Wesleyan University graduate Eric Gnezda will perform with two other artists on Saturday, Feb. 16. Keith Larsen and Craig Heath will join Gnezda to form a trio of award-winning songwriters who will share songs and stories in the lower level, or “Pat Cave,” of the record store, which is located at 11 W. Winter St. in downtown Delaware. The show will begin at 8 p.m., with doors opening at 7:30 p.m. Tickets are $12 and can be reserved through the Endangered Species Facebook page, at the store, or by calling 740-417-4776. Along with his songwriting, Gnezda is also the creator and host of “Songs at the Center,” a television series produced in Columbus that has grown to include a national audience over the past three years. He said the series, which first aired in January 2015, got syndicated shortly thereafter and is now shown on more than 265 stations across the country. That includes stations in four of the five top markets in the country, Gnezda said, including WNET in New York City, which is PBS’ flagship station. Locally, it airs on WOSU at 11 p.m. on Saturday nights. Guests who have been a part of the show include John Oates of “Hall and Oates” fame and Grammy Award-winners Peter Asher and Albert Lee, and Delbert McClinton, among other distinguished artists. Gnezda said the production of the fifth season is about to begin with the first live taping on Sunday, Feb. 10, at the Lincoln Theatre. The new season will be released in May and will include Grammy Lifetime Achievement Award-winner Tom Paxton and 12-time Juno Award-winner Bruce Cockburn. “We feature both famous songwriters and those people who are extraordinarily talented but they don’t have the name recognition,” Gnezda said of the show. Asked what might be next for the show, Gnezda said they’re still looking to pick up more stations, and their goal for every show is to make incremental improvements. As for his own music, which will be on display for Delaware next month, Gnezda said it is difficult for any artist to describe their own music, but labeled it Americana with touches of adult contemporary, country and folk. Gnezda said he, along with Heath and Larsen, are thrilled to be coming to Delaware. He added the Delaware show is part of a statewide tour that will include stops in Cleveland and southwest Ohio, as well as some other dates that are still being worked out. He said the tour is a sort of celebration of the show, which now airs in every part of the state, and its success. 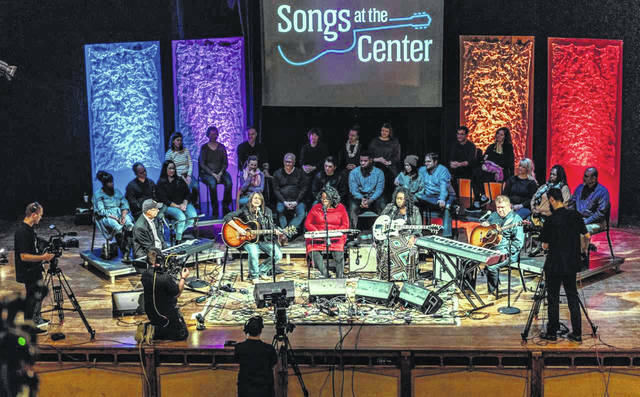 For more information on “Songs at the Center,” visit www.songsatthecenter.tv. To stay current on shows coming to Endangered Species, check out its Facebook page.